Wyatt Mickas v. Dave Foda – Presuppositionalism – Kent Hovind v. Robert Baty – The Great Debates! Dave Foda has announced a live, public debate will be broadcast on Saturday, November 12, 2016, beginning at 10:00 PM Eastern Time (USA) via the YouTube channel for “Atheists on Air: Beyond the Trailer Park”. Dave Foda and Wyatt Mickas will be discussing Presuppositionalism, or as Dave put it in his announcement, “presuppositionalists’ ideas of what things we can know and how we can know them, and how that applies to religion”. I am looking forward to the program. If I don’t catch it live, I will be looking forward to reviewing it when archived or otherwise spread around. I met Dave Foda some time ago when our ships crossed in the night via some weird Internet connection. We have performed together a number of times in dealing with the subjects of Kent Hovind and Presuppositionalism. I suppose those performances are archived somewhere for those who may wish to look them up. 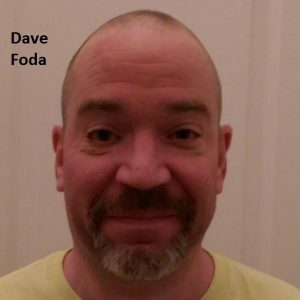 I helped make Dave Foda the Internet sensation he is today. 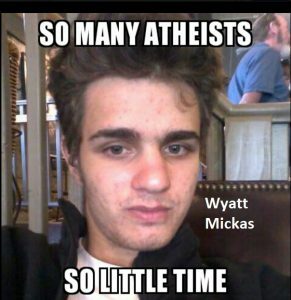 I also ran across Wyatt Mickas via the Internet as a result of his connections to the atheism, Kent Hovind, and Presuppositionalism issues. We have worked together at times in trying to produce a proper exchange of ideas on issues of mutual interest and in more informal exchanges of ideas.